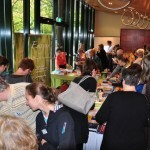 The congress room of the Theaterhotel in Almelo is filled, on Friday November 1st and Saturday November 2nd , with more that 150 people from around 10 different countries. They have all come here to listen to Prasanta Banerji, an Indian doctor, who has been treating severely ill patients with homeopathic remedies in a hospital in Calcutta for more than 40 years. The results of those treatments are astonishing. 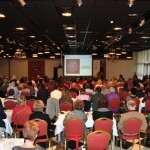 Not even the resistance against homeopathy in The Netherlands is able to change that. This point of view is being condemned by regular medical science. Even before the symposium has taken off, someone who does not want to attend the symposium in Almelo, Twitters about the poisonous talks of the Banerji’s. 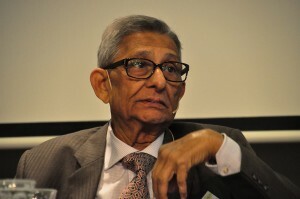 But those who do attend the symposium and listen open-minded to Prasanta Banerji, notice no anger at all. Instead, they notice an enormous drive to help other human beings, without any profit motive. In the caste system of India, the Banerji’s treat everybody, with or without money. Prasanta Banerji discusses several cases with the audience: patients with chronic kidney failure, liver disorders, psoriasis, hair loss, different tumours etc. After the doctors have diagnosed the patients with the help of X-ray, ultrasound, CT-scan or MRI, they often prescribe a combination of two or three homeopathic remedies. Years of experimental research- repeated and verified over and over again- has taught them which remedies prove to be effective in which situations. These results have been described in detail in protocols. 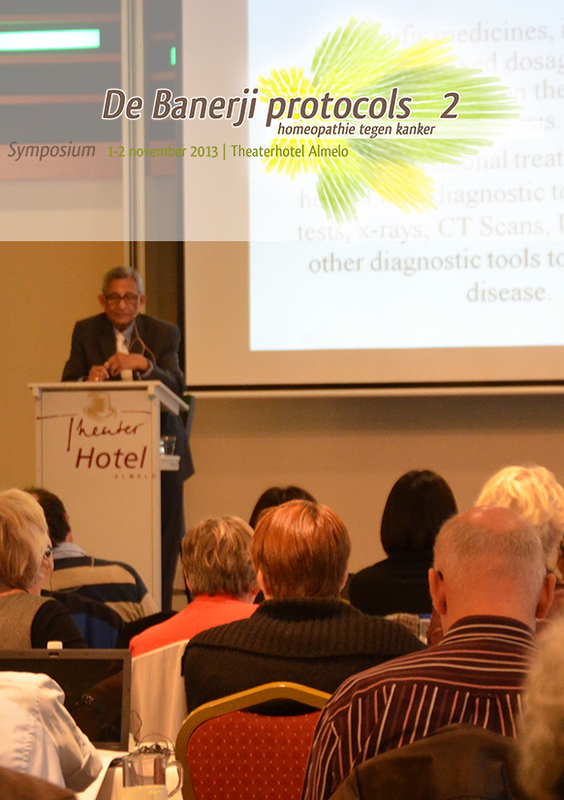 Therefore the title of the symposium: ‘’The effect of the Banerji Protocols: homeopathy against cancer and other chronic diseases”. 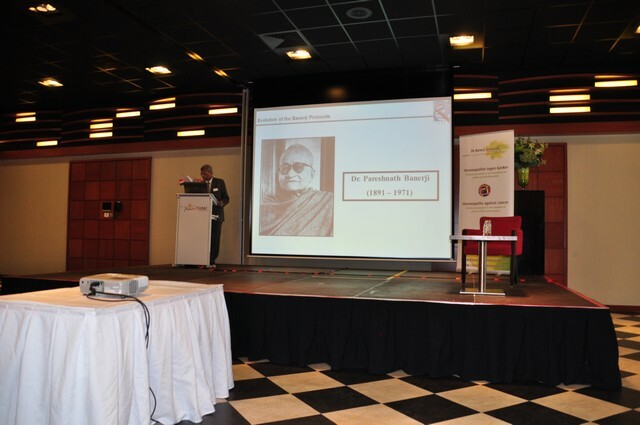 In the morning, the emphasis is on the delegation of knowledge by means of patient cases, but in the afternoon, Prasanta Banerji focuses on live consultations. Everybody in the audience pays careful attention. They get a lot of opportunities to ask questions about the treatment Prasanta Banerji suggests for every individual case. The doctor receives a lot of astonishment and admiration for the knowledge of the different illnesses and the remedies that prove to be the most effective in each individual case. 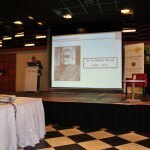 The symposium in Almelo provides a very good picture of the scientific approach of the Banerji’s. 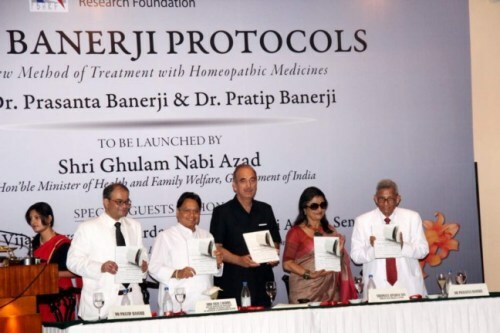 It also shows that regular medicine and homeopathy are able to co-exist in India, to serve the patient. The fact that we are not nearly as far as that in The Netherlands, becomes painfully clear as well. While other scientific disciplines are raving about the South North Knowledge Transfer, there seems to be an exception for the knowledge accumulated by the Banerji’s. Regular medical science is openly rejecting homeopathy. Therefore we miss a lot of wonderful opportunities, India does use, to effectively treat patients with homeopathy, against much lower costs.